Please note that this website is under construction and will continue to change in the coming days. Head Coach, Agnes Miller is in her 20th season as Diving coach at Boston University, and started coaching with Charles River Diving in 1995. 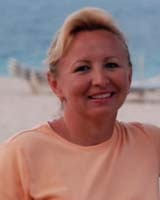 Before coming to Boston, she coached with Candler Diving in Raleigh, North Carolina for five years. Agnes’ divers at BU have consistently finished at the top of the America East Conference, and she has had three different divers qualify for the NCAA Championships in 2008, 2009, 2010 and 2011. As an athlete, Agnes was a 6-time ACC Champion, 3-time ACC Most Valuable Diver, and 2-time NCAA All-American, finishing 3rd place in 1992, while competing at NC State University. In addition to her success at the collegiate level, Agnes was a member of the Hungarian National Team for 10 years, and represented Hungary in the Seoul and Barcelona Olympics on 3-meter springboard. Keith Miller recently retired as "The Class of 1989 Head Coach for Diving" at Harvard, where he coached for over 25 years, and has been coaching since 1981. He started at Harvard as the varsity coach in 1991. Under Keith, Harvard had at least 12 different divers win the Ivy League Championships, and many qualified for the NCAA and/or Senior National Championships. 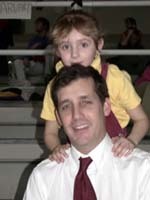 In 1995, Keith was named to the USA Diving National Team, and since then has traveled with the US Team to Vienna, Rome, Mexico, Canada and Sicily. Keith attended Tufts University, where he won the 3 meter event at the 1982 NCAA Division III Championships while training at Harvard with Coaches Jamie Greacen and John Walker. Assistant Coaches: CRD is fortunate to have a number of highly qualified college varsity divers who have been coaching with us for a number of years. We often have assistants with us during practice, and they are an important asset to the program.